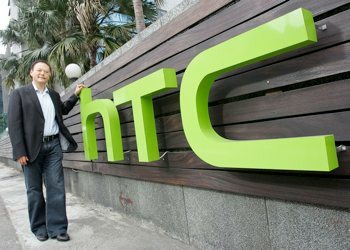 Consumers eager to get their hands on HTC's One X and EVO 4G LTE smartphones will have to wait a bit longer after shipments of the new handsets were held by US customs, pending a review to confirm changes have been made as a result of the patent dispute lost against Apple in December. HTC will now have to delay the intended release of their EVO 4G LTE on Friday, as well as deal with constrained stock at AT&T for their One X. At the time, Apple claimed several of HTC's Android devices infringed on ten separate patents. After many appeals it resulted in two separate claims over a single patent in which HTC was found to be infringing. The patent in question was US Patent No. 5,946,647, covering a "system and method for performing an action on a structure in computer-generated data." As a result of this the ITC issued a limited exclusion order that prohibited the Taiwanese phone maker from importing any devices that infringed the order. HTC said they would make changes to prevent it becoming an issue. The pending review will determine if the smartphones comply with the ITC's ruling. "The US availability of the HTC One X and HTC EVO 4G LTE has been delayed due to a standard U.S. Customs review of shipments that is required after an ITC exclusion order," a spokesperson for HTC said in a statement. "We believe we are in compliance with the ruling and HTC is working closely with Customs to secure approval. The HTC One X and HTC EVO 4G LTE have been received enthusiastically by customers and we appreciate their patience as we work to get these products into their hands as soon as possible." In response to the news the Taiwanese firm's stock prices tumbled once again, dropping a further 6.5-percent. HTC is unable to say exactly when the shipments will be cleared and stated that it depended entirely on how fast US Customs cleared the devices. Apple did not respond to requests for comment.